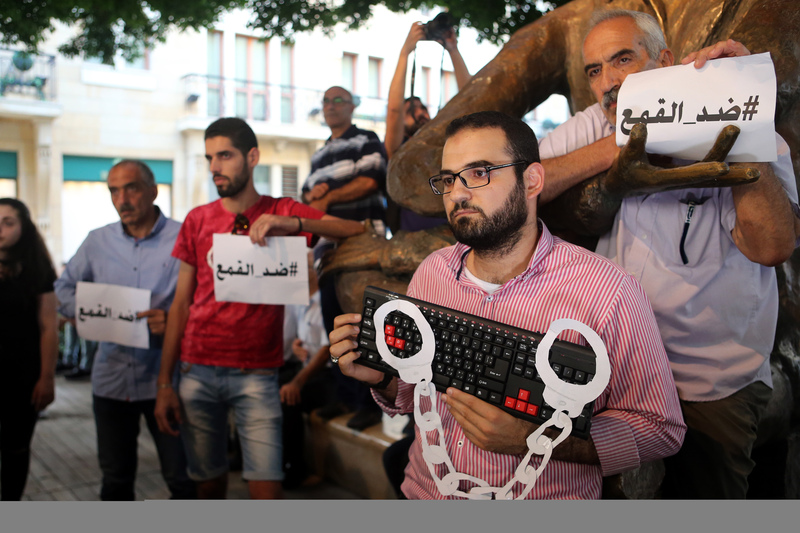 A July 24 demonstration against arrests over online posts in Lebanon. Photo by Hasan Shaaban, used with permission. 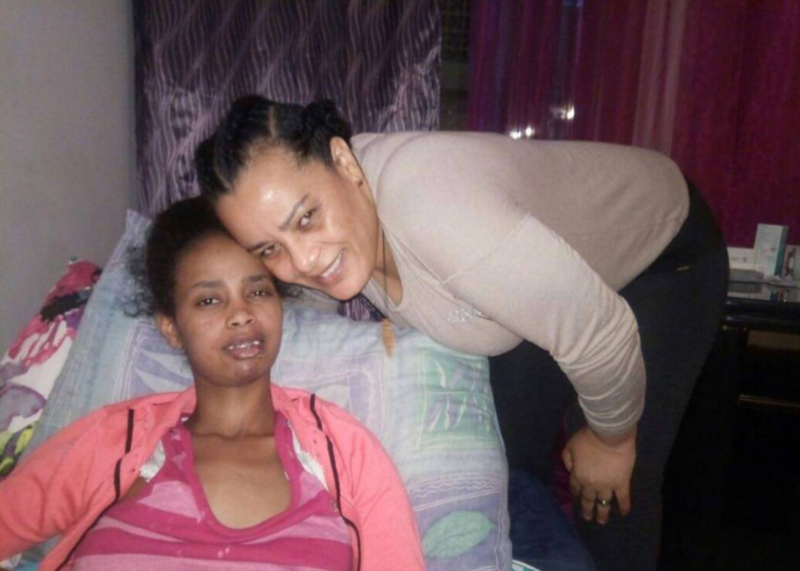 Timour Azhari, a journalist at the Lebanese DailyStar newspaper, is facing trial for covering the alleged abuse of an Ethiopian migrant worker at the hands of her employers in Lebanon. Azhari has also written for Global Voices. In March 2018, Lensa Lelisa alleged  that her employers, who run a high-end fashion company, had been abusing her. Desperate to escape, she jumped from the balcony of the second floor, breaking her legs. She later described her experience in a video  that was shared widely online. When she was discharged from hospital, her employers took her back to their house, despite the allegations of abuse. Lelisa later appeared in a TV program where she recanted  her story and said that she had accidentally fallen down. Migrant domestic workers in Lebanon are forced to work and live in difficult conditions under Lebanon's notorious “kafala” (sponsorship) system. The system grants  sponsors (companies or private citizens) a “set of legal abilities” to control workers making them vulnerable to abuse. Without the permission of sponsors, workers cannot change or quit jobs or leave the country. The International Labor Organization , a UN agency, says the system leaves workers vulnerable to forced labor. After reporting on Lelisa's story, Azhari was charged with defamation over an article published in the DailyStar's online and print editions on March 28, describing Lelisa's allegations against her employers. The case against Azhari also covers journalistic tweets that he posted while covering a protest in front of her employers’ home and workplace for his newspaper. Under pressure from the authorities, the newspaper later took down the article from its website, though it remains available  on Azhari's blog. Another article about the protest  is still accessible on the DailyStar's website. Azhari faces a fine for his reporting. Photo: journalist's Twitter profile. 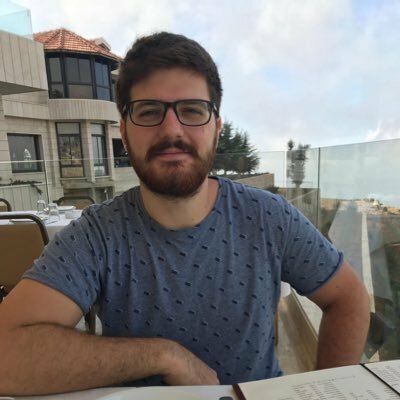 Azhari was interrogated in June before Lebanon's infamous Cybercrime Bureau. When I spoke with Azhari about the proceeding, he described how an investigator accused him of “taking sides” in the story. Authorities asked him to remove his tweets in relation to Lelisa's case, reasoning that a police investigation had proven her employers to be innocent. Police also seized  confidential information from his phone. Between my questioning and time spent waiting in the interrogation room, I was at the Bureau for 8 hours. My phone was searched, confidential information on an anonymous source was seized from it, and I was made to delete my tweets. The bureau also asked  him to sign a pledge to not speak about the case again, but he refused. Established in 2006 to strengthen the Lebanese state’s online security capabilities in the digital age, the Cybercrimes Bureau is the avenue through which most of the interrogations of journalists, activists and bloggers over their online publications take place . Though Lebanese law contains protections for freedom of expression and freedom of the press, insulting the president, the Lebanese Army, religion or the flag can result in up to a three-year prison sentence and heavy fines. Slander, libel and defamation laws also increasingly have been used by politicians, representatives of big businesses and private individuals to question and prosecute activists and crack down on critical online speech. By August 1, Social Media Exchange, a local NGO that works on internet policy, documented  at least 16 cases of people summoned for questioning over their online posts in 2018. Azhari's trial began on November 27, at the publications court in the city of Baada, but was adjourned to February 26 after the plaintiff and their lawyer failed to show up in court, he said. If convicted, he will be made to pay a fine. As the trial goes on, Azhari will keep on doing his job and reporting on the stories that matter. ”If anything it [the trial] has motivated me to continue covering social justice issues, including stories related to the abuse of migrant workers in Lebanon,” he said.